May Bank Holiday just got a lot more exciting! Deciding what to do with your May Bank Holiday weekend has become increasingly difficult with the sheer amount of music festivals cropping up across the country. Thankfully, Licklist is here to make that decision much easier! There's not a lot we don't know about music festivals, and when it comes to livening up your May Bank Holiday weekend, you can't do much better than We Are FSTVL. Returning to Upminster's infamous aerodrome, We Are FSTVL has quickly become an Essex favourite, bringing stars none other than Gemma Collins and James Argent to the county's rolling fields. After a record-breaking sell-out success in 2018, We Are FSTVL is back: showcasing over 300 artists from the world of electronic dance music across 20 bespoke stages. Kicking things off on Saturday on the aptly named We Are Bass stage will be none other than Chase & Status, Bugzy Malone and Sigma - so if DJ sets are your thing, this is where we'll expect to find you. The Glitterbox stage is home to all things electronica, so swing by for sets from the likes of Armand Van Helden and Groove Armada. 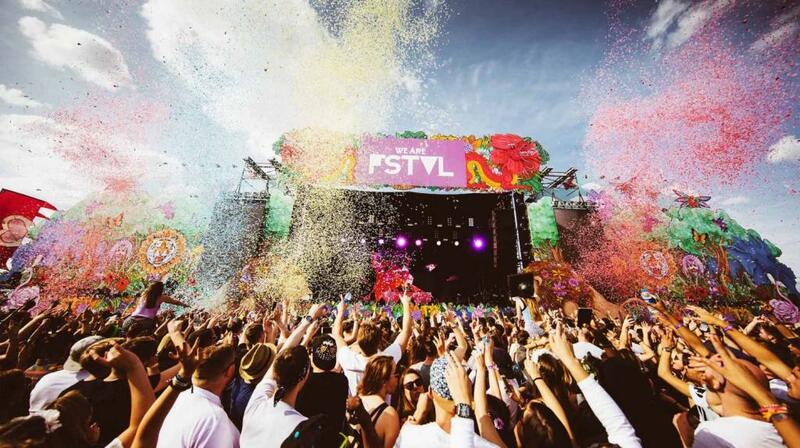 We Are FSTVL's notorious, bassy vibes continue way into the weekend, so prepare yourself for a Sunday like no other. Head back to the We Are Bass stage for sets from some of the industry's biggest names, including Big Shaq (is Man still not hot?! ), Craig David and Tom Zanetti. For the best in electronic music, you can't beat the Defected stage. Expect explosive sets from Basement Jaxx, Gorgon City, Sam Divine and many, many more. If garage music is your thing, the We Are Garage stage is not to be missed, with performances from chart-topping artists including Artful Dodger, Majestic and Shola Ama. Not content with hosting their best ever line-up and most elaborate production to date last year, We Are FSTVL 2019 will reach a whole new level of incredible, with a brand new set of stylised arenas and structures alongside traditional We Are FSTVL favourites. Tickets are selling fast, so head to https://www.wearefstvl.com/tic kets/ and snap some up while you've got the chance. Your summer starts right here!